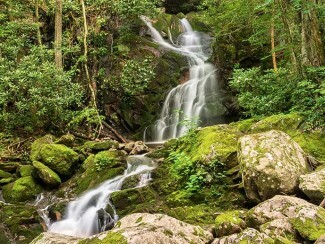 Across more than 800 square miles of western North Carolina and eastern Tennessee, Great Smoky Mountains National Park is home to amazing wildlife, breathtaking views, and some of the oldest mountains in the world. Find the information you need to plan your next adventure! 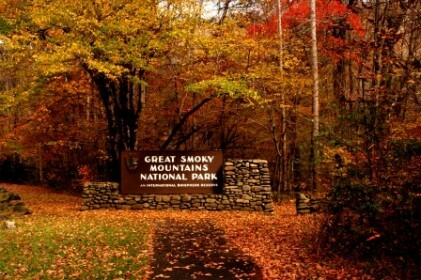 For park information by phone, call 865-436-1200. 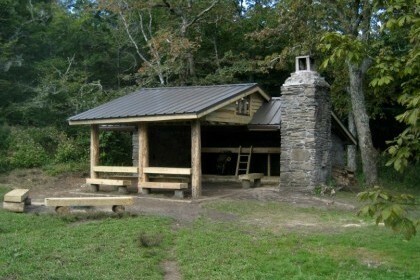 The park offers several different kinds of campsites. 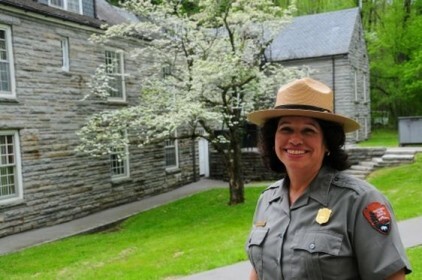 To learn more about each and to make a reservation, click the links below to be directed to NPS.gov. Backcountry – for backpackers. Requires hiking several miles to a site located in the park’s backcountry. 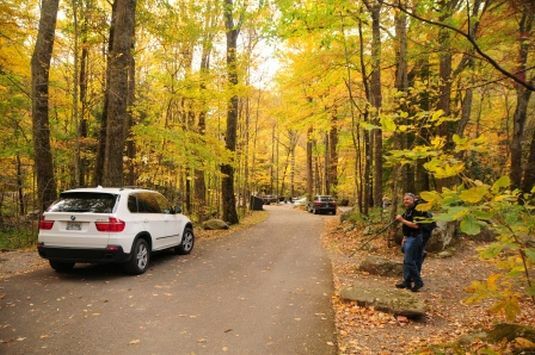 Frontcountry – camping near your car in a developed campground with cold running water and flush toilets. Group Campgrounds – large campsites suitable for groups of eight people or more. Located in frontcountry campgrounds. Questions about new firewood policies? Click here. With more than 800 miles of trail in the park, there is an outdoor adventure for hikers of all skill levels during all seasons. 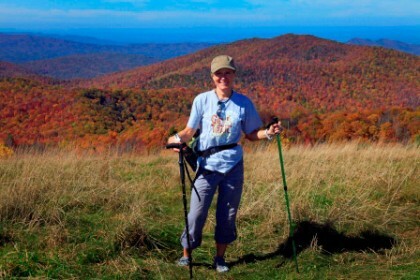 Many determined hikers seek to join the “900 -Miler Club” by hiking all of the trails in GSMNP. You can find out more about the club, list of trails and mileages, and membership application on the club’s website here. 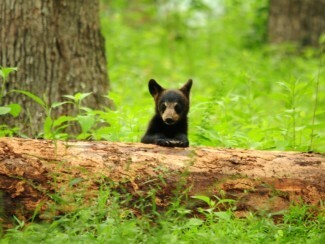 The park is home to many species animal including black bears, elk, white-tailed deer, turkeys, salamanders, hundreds of native and migratory birds, and more.Much of the park is covered in forest, so open areas like Cataloochee Valley and Cades Cove offer great opportunities for viewing wildlife. Remember: It is illegal to approach within 150 feet of wild animals in the park, so bring your binoculars or zoom lens for your camera. And do NOT feed wildlife. On any given spring day, there may be as many as 1 million wildflowers in bloom all around the park. Depending on elevation and species, you can find flowers, trees and shrubs in bloom every month of the year. 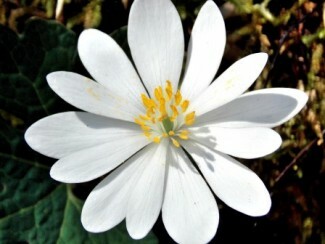 For more information on wildflowers and peak seasons, click here. For more information on traffic and travel tips, click here. Before you go, check seasonal road closures. 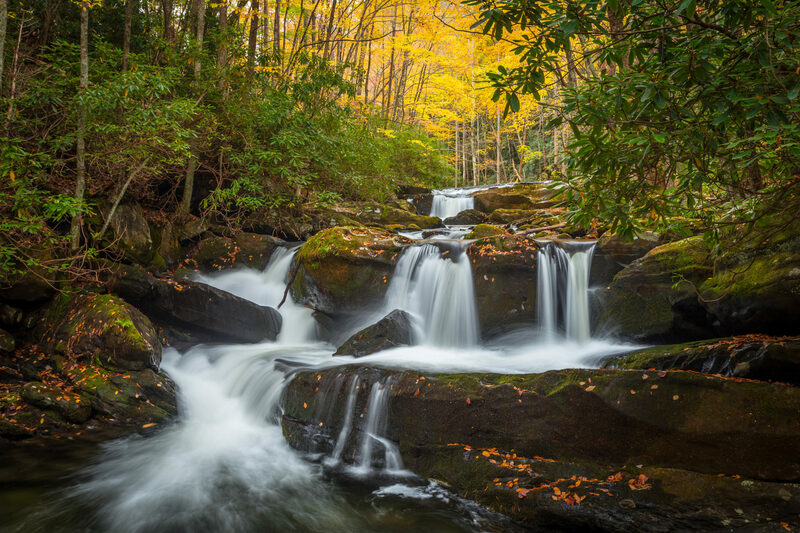 The park has nearly 3,000 miles of streams and protects one of the last wild trout habitats in the eastern US. Fishing is permitted in all streams, year-round, from 30 minutes before sunrise to 30 minutes after sunset. You must possess a valid fishing license or permit from either Tennessee or North Carolina. 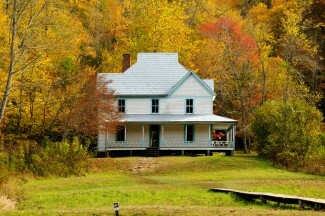 Either state license is valid throughout the park and no trout stamp is required. Fishing licenses and permits are not available in the park, but may be purchased in nearby towns or online. For more information on possession & size limits, lures & bait, and fish species in the park, click here.